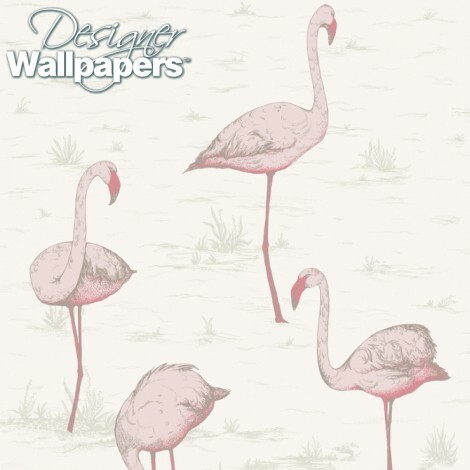 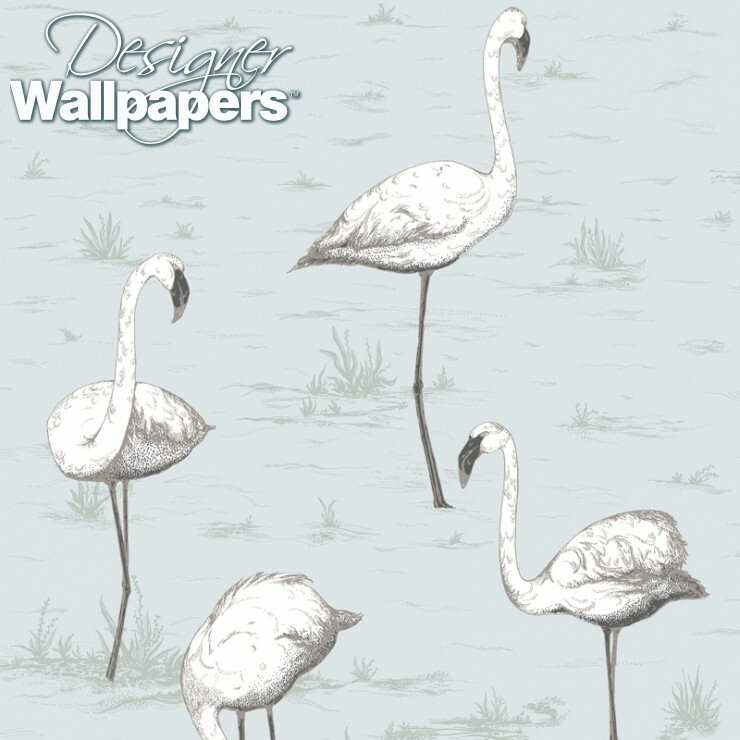 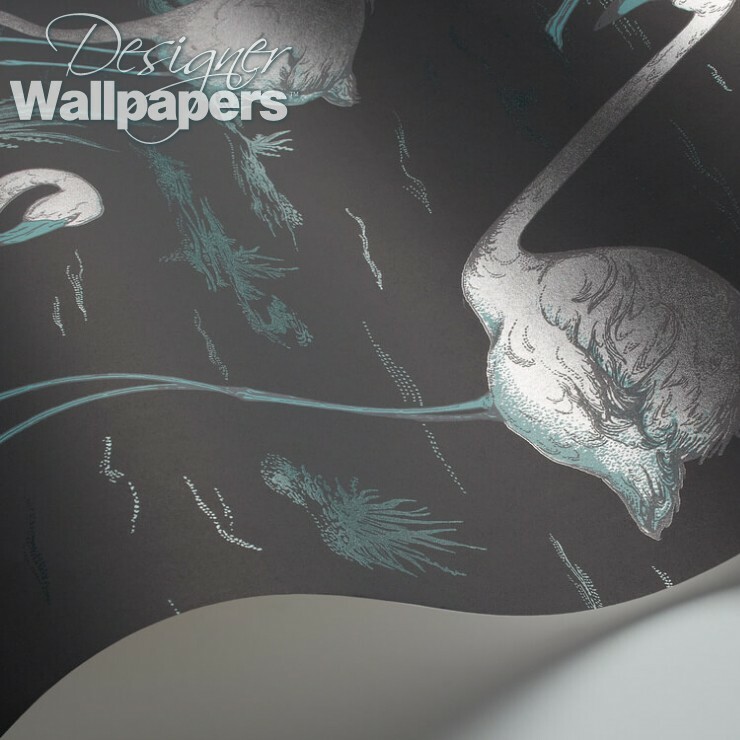 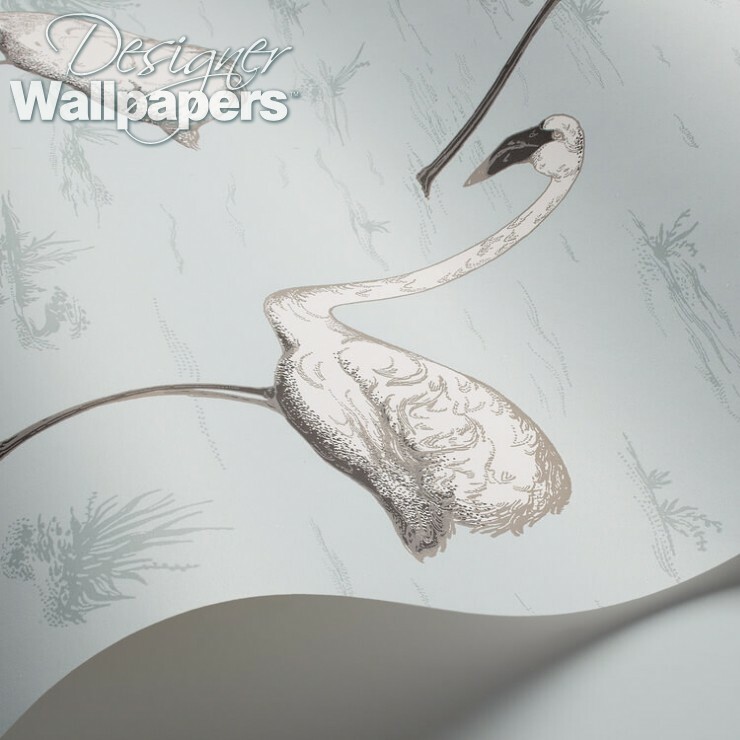 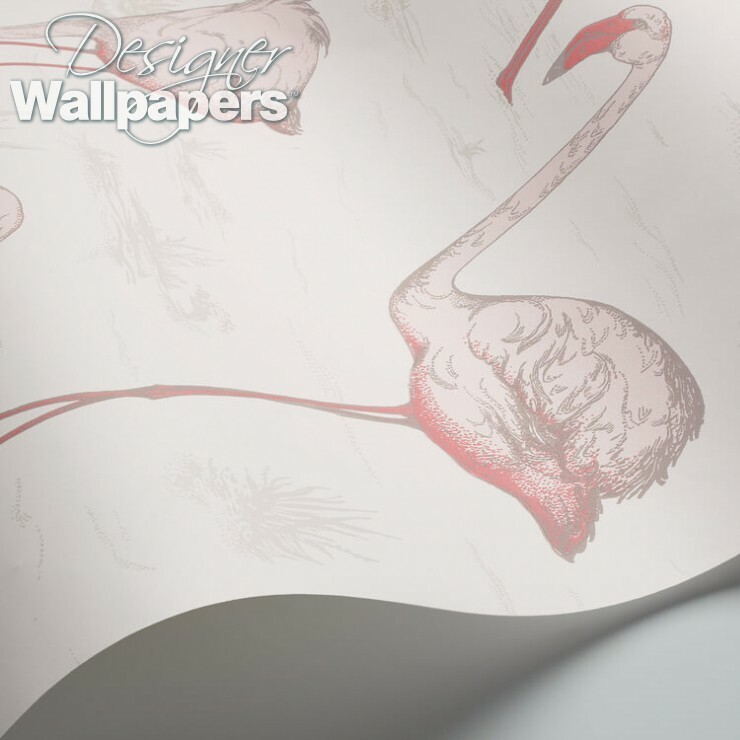 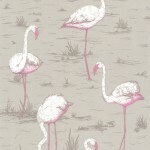 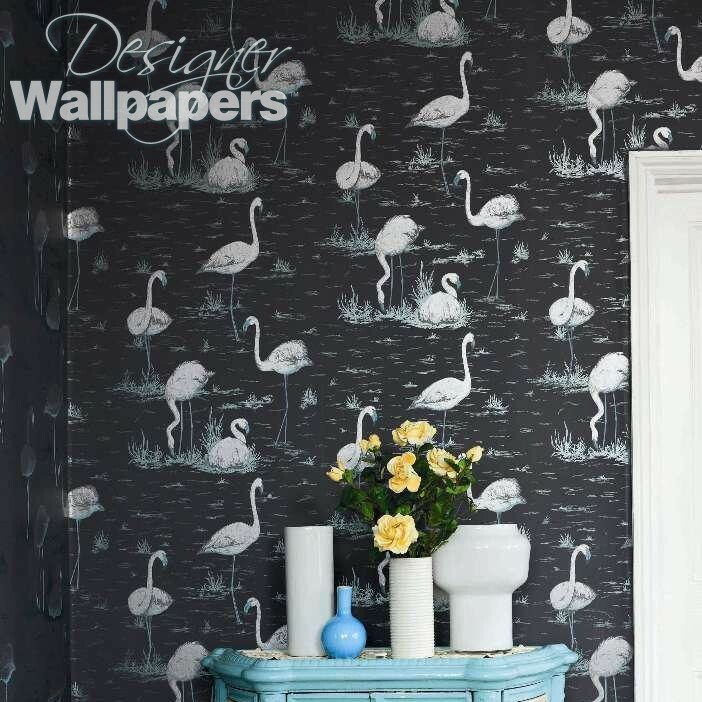 Flamingos - A new selection of colours for this fun design starring the iconic flamingo. 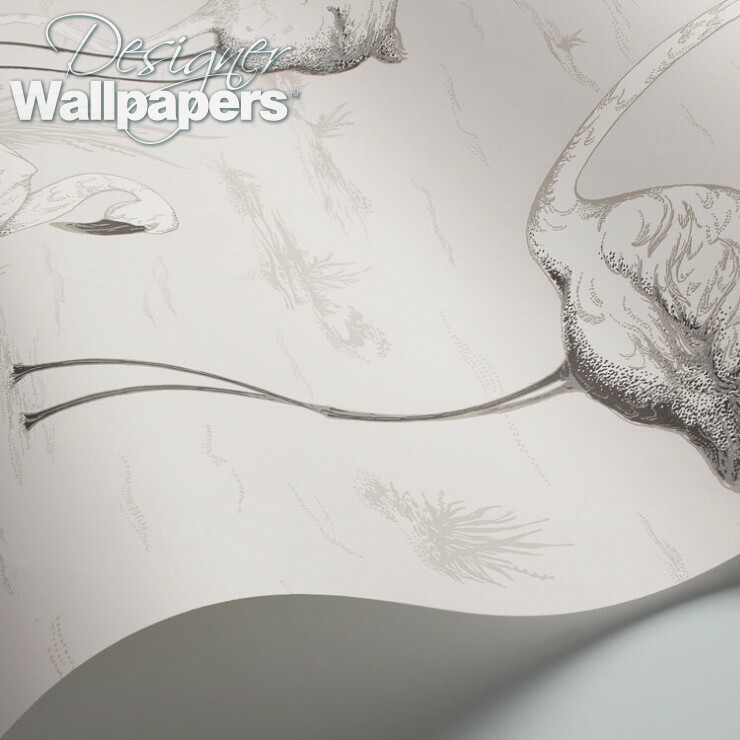 Attention to detail in the beautiful illustrations mean that frivolity is all in good taste. 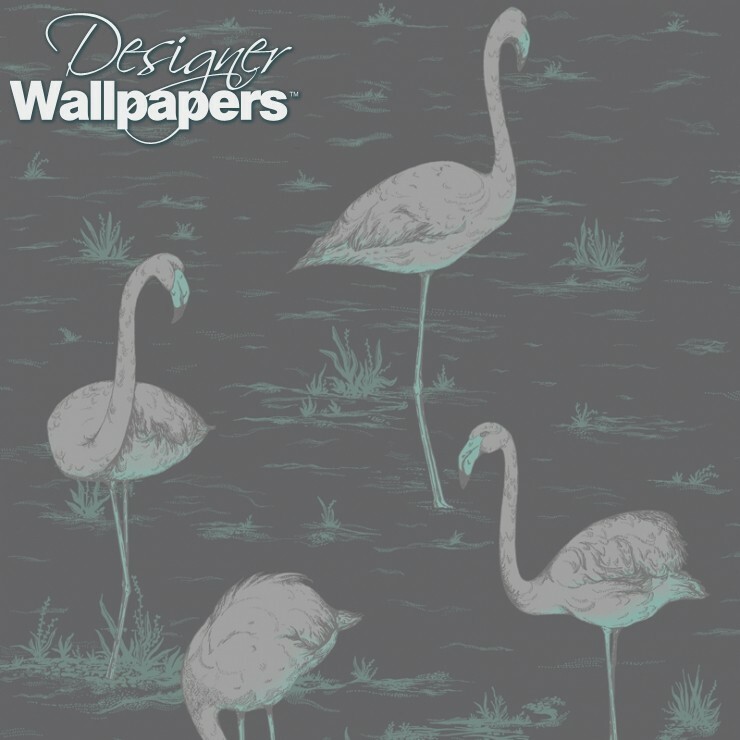 Pinks and off white.White and charcoals on a pale neutral background.White and charcoals on a vintage powder blue background.Metallic mint green and silver on matte black.